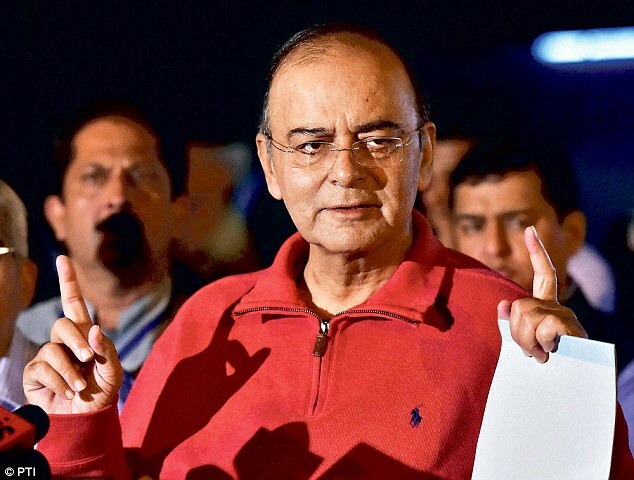 February is when the Indian Finance Minister (FM) gets flooded with unsolicited help from well-wishers on how to get his job done of presenting the Union government’s annual budget on the 28th. This time, the flood is a Tsunami as a consequence of the Delhi state assembly electoral debacle for the BJP on the 10th February. Some fears are imagined. Others are real. BJP only for the rich? The BJP has traditionally been a party which works well with the private sector. If viewed through a “zero-sum” filter, this strategy could be perceived as working against the immediate interests of the poor. The classic example is whether electricity supply should be subsidized and if so to what extent and in what manner and whether the private sector’s bottom line concern for profitability can be consistent with an electricity subsidy for customers? The “Davos mafia”- banks, big business and “growth” fundamentalists are keeping a hawks eye on everything the FM now says to detect signs of his wavering from the hard path of economic reforms announced by him last year. Their expectation is that he will resort to “populism” to placate the poor, with an eye on the nearing state elections in Bihar. The BJP cannot afford to lose Bihar. Doing so will surely crack the political invincibility of PM Modi. Some believe it is already dented by an ill-advised, last minute tactic in Delhi of pitting the PM versus Kejriwal, even though it was known as early as January 15th when the elections were announced, that the BJP was unlikely to win. None of this environment is of the FMs making. But it hampers him greatly in being bold, outspoken and visionary on economic reforms- as he has shown an inclination to be. It does not help that the Indian Statistics establishment has further queered the pitch by an ill-timed release of a new formula for calculating GDP which shows that the UPA government was doing fairly well on growth (6.9%) even in its last year (2013-14) accompanied by reduction in the trend rate of inflation (consumer price index) to 9.5% from 10.2% the previous year. This raises the bar for the FM in FY 2015-16 to unrealistic levels in growth (>8.5 %?) and possibly also inflation expectations (<5% ?). The dilemma of the FM is that if he follows a tough approach to economic efficiency he gets branded as heartless and gutless if he doesn’t. Privatization of our clunky 277 publicly owned industrial companies; poorly governed 7 public insurance companies and 27 banks is a no-brainer to calm both the heart and the gut of the FM. The share of publicly owned companies in the Indian stock market capitalization is 48%. If more of them were publicly listed this proportion would increase further. The capital gains from privatizing- selling at least a 50% plus 1 share in publicly held equity to private investors is sufficient to meet the existing annual aggregate subsidy outlay of around Rs 4 lakh crores (USD 66 billion) for the next five years till 2020 with linked fiscal benefits from tax revenue on higher growth and profitability of these entities. Associated economic benefits like more jobs and employment would be additional. The FM has the choice of either being fiscally profligate or remaining cautiously courageous whilst perturbing the entrenched interests which feed-off the public sector; a small proportion of unfit employees who would lose their secure jobs; petty contractors who have developed a nexus with public sector contracting authorities and Trade Union leaders. None of these are part of the 300 million poor people of India. Nor are they part of 90% of the workforce, which operates in the unorganized sector as contract labour. The FM would be well advised to err firmly on the side of “financeable equity”. This objective points him to generate additional revenues to finance selected tax breaks and subsidies. Here are three suggestions that could set the tone of the FY 2015-16 budget. First, the FM should announce that this government intends to demonstrate its credentials of being an efficient administration by collecting more revenues from the existing taxes despite offering selective tax relief. This fits well with the already publicized drive against “black money” and the return of undeclared foreign assets of Indian national, residents. This also reassures tax payers that the government intends to retain stability and predictability in the tax regime. There is nothing like burning ones bridges to bring out the best in oneself. The FM did this last year by taking up the challenge of meeting a 4.1% Fiscal Deficit target for this year and 3.6% of GDP for the next. He should carry through this resolve now without opting for the “lazy” alternative of using the new, inflated GDP data to project a rosy revenue estimate. Second, the FM should demonstrate the government stated preference for “small government”; private finance lead investment and the market. One equitable way of doing this is to leave more income in the hands of the small tax payer by increasing the income tax-free level from Rs 2 Lakhs per year (USD 3300) to Rs 5 Lakhs (USD 8200). This simple measure takes 90% of the existing assesses (around 29 million in numbers) out of the tax net but impacts only 10% of the revenue. Pancaked, indirect taxes on consumption (customs/excise; sales tax; municipal taxes) drain 50% of the disposable income of such tax payers in any case, so there is an equity view point also along with the argument for the greater efficiency of a more focused and selective tax effort. India’s tax revenues need to be increased by at least 1% point of GDP but not by continually “milking” the narrow tax base available historically. This approach is neither efficient nor does it build political credibility amongst the tax victims –the salaried middle class. Imposing a new, low tax with a huge tax base as on stock or commodity market transactions and siphoning off a part of the windfall due to the crash in oil prices could be two such option. Extending income tax to the creamy layer with huge agricultural assets on a presumptive basis is a must. Tax free agricultural income is the easiest refuge for rebranding “black money” as “white”. This loop hole needs to be stamped out. Agricultural income tax is a tax resource reserved for the State governments. But the Union Government could incentivize States by offering a higher share of GST to states willing to introduce agricultural income tax. This would be in the spirit of efficient, equitable, cooperative federalism. Third, the Jan Dhan Yojna for financial inclusion has opened 125 million new bank accounts during the last few months. The bulk of these accounts remain dormant. But despite such caveats, this is a good scheme. Recent work, including by Thomas Piketty illustrates that personal wealth is the biggest asset in incremental wealth creation. Why not extend then, albeit in a small measure, the key to wealth creation to the poor also? “Dhan” (wealth) is an asset-something you own. It is a pre-condition for wealth creation. Why not open bank or Post Office accounts for the poor also? Of course the poor have no surplus to put into a bank. But the government can fill this gap by depositing Rs 10,000 (USD 164) into each of the bank accounts of all “poor” account holders as a 10 year fixed deposit from which only the interest income would be available to the account holder till maturity. To narrow the ambit and the financial implication of the scheme initially, only poor women and poor senior citizens (the most marginalized of the poor) could be eligible. Fiscal fundamentalists will deride this measure as irresponsible in an environment when subsidies have to be contained, if not reduced. There are two reasons why their apprehensions are unfounded. First, the small value of the deposit and its unavailability for withdrawal for 15 long years reduces the attractiveness of the scheme for would be scammers. The annual interest earned of Rs 800 (@8%) per account is not enough to attract fraud but sufficient to keep a genuinely poor person interested in the account as a source of additional income. For the Bank this provides a pool of valuable long term resources for their Treasury operations. Second, the fiscal outlay, whilst significant, is not unmanageable. The likely pool of “poor” women and senior citizens would be around 200 million. If full coverage is targeted over a three year period, an annual budgetary allocation of around Rs 70,000 crores (only 18% of the existing aggregate allocation for subsidies) would be required. The spread effect, both political and economic, is hugely significant. In comparison, the Union government alone spends an estimated Rs 4 lakh crores (USD 66 billion or 4 % of GDP) on subsidies. Much of this outlay is either lost in transit to the beneficiary (as in food subsidy- refer to Ashok Gulati, India’s brilliant agricultural economist) or the targeting of the subsidy is so vague (fertilizer and energy subsidies) as to benefit the poor only marginally. A “wealth and income transfer” scheme aided by the Unique Identification mechanism, where available, is likely to be more efficient and effective. The recent developments in Southern Europe and now in Delhi should convince Mr. Jaitley that “demonstrated equity and inclusion” as a “brand” is in. Citizens do appreciate a tough “reforms” stance. But it must be balanced by effective instruments for income transfers to the poorest of the poor.